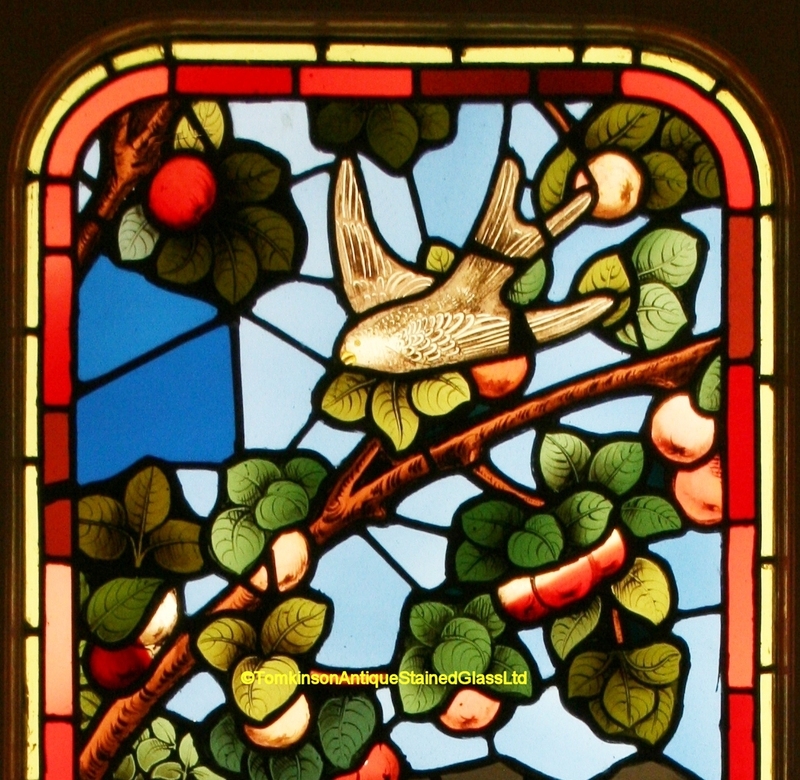 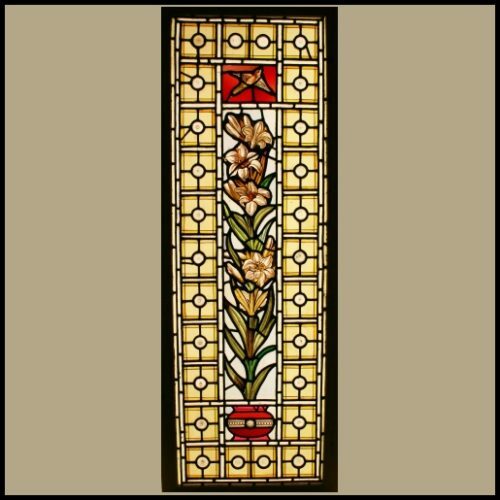 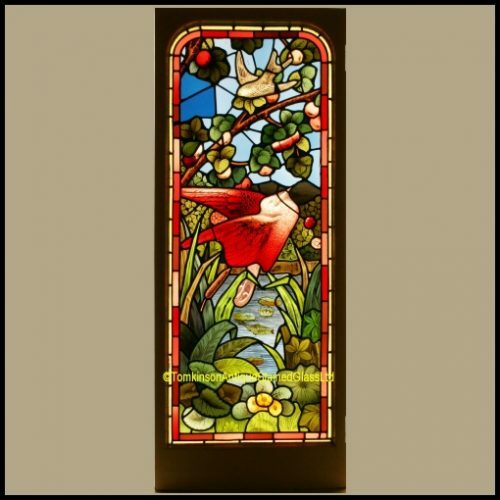 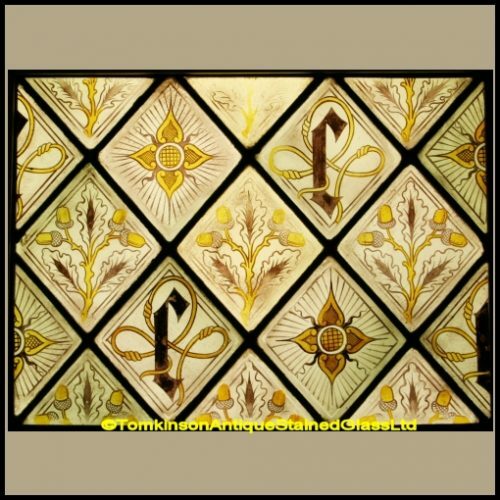 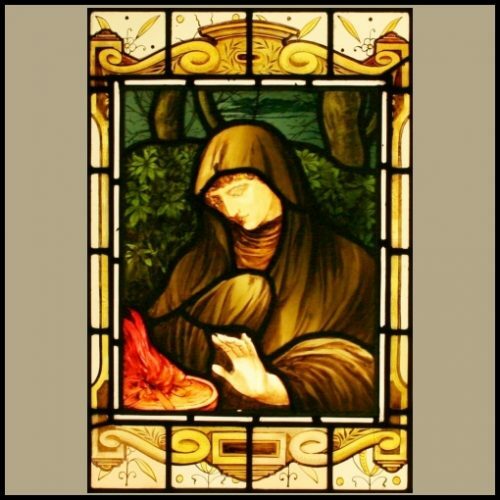 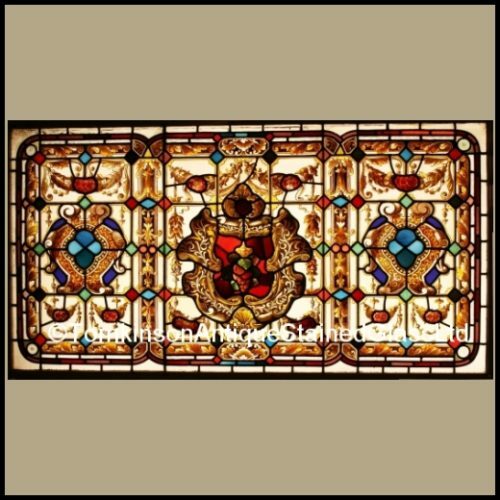 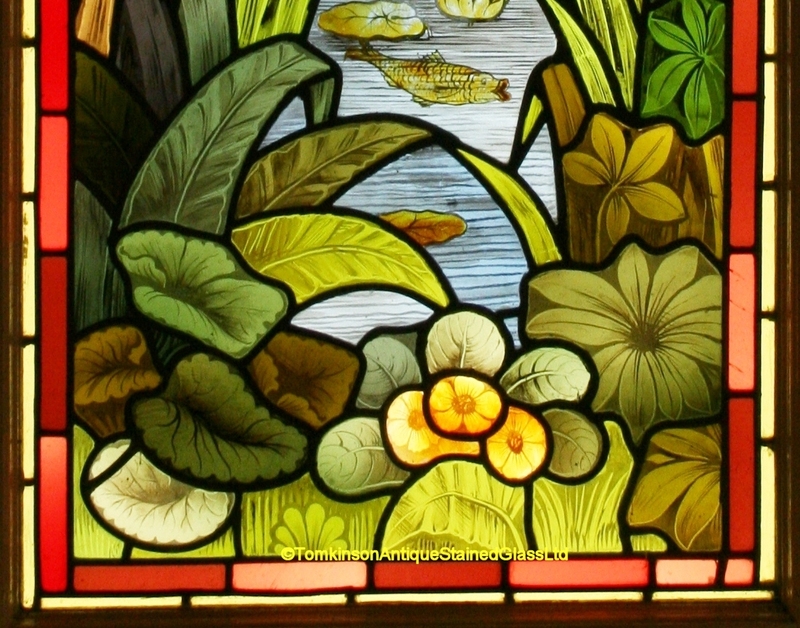 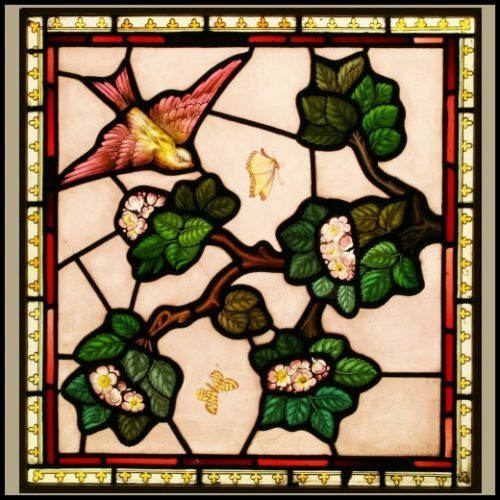 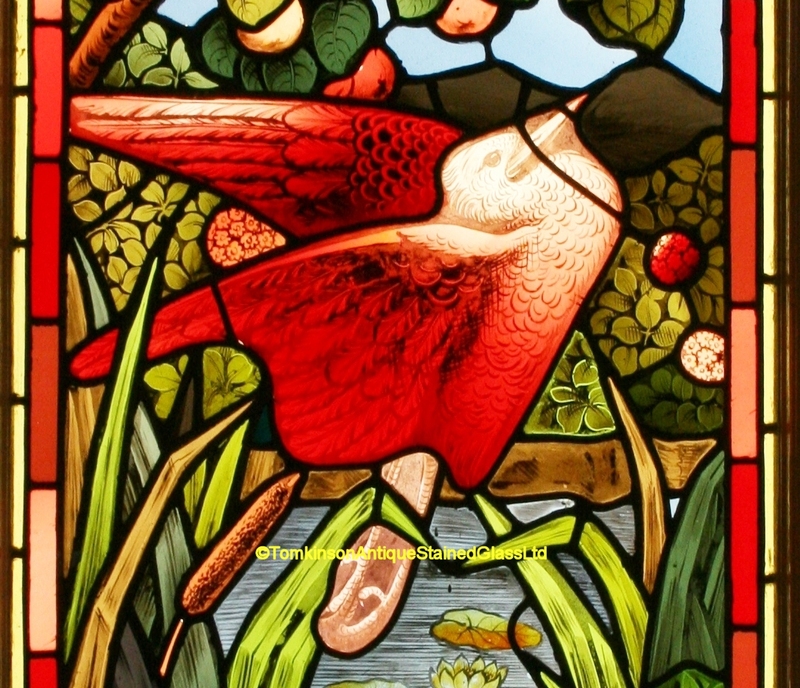 Lovely decorative antique stained glass window leaded with hand painted coloured glass depicting Birds flying over a pond scene, around are branches of fruit, various flowers, fish and lily pads in the water. 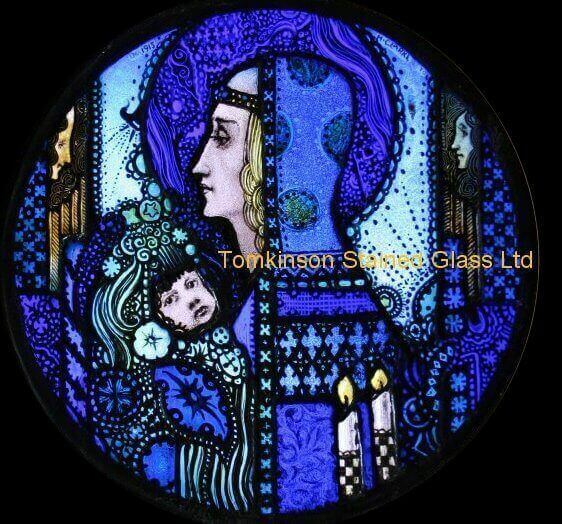 Super quality and in excellent condition. 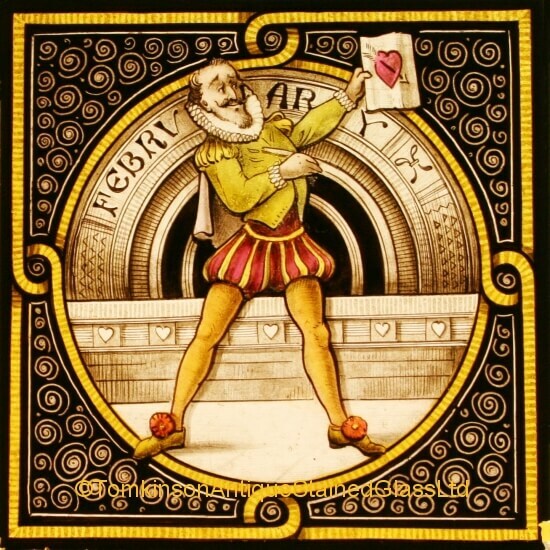 Now inserted into a later painted pine frame.